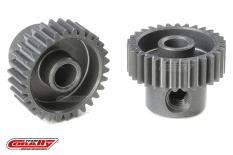 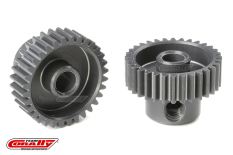 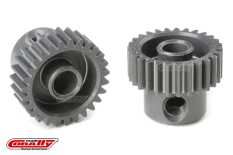 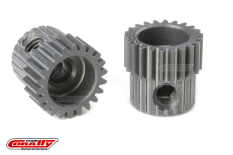 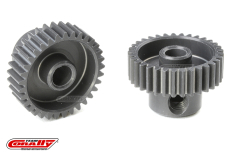 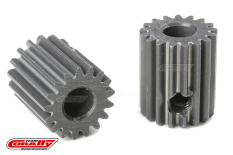 Back Home :: Pinions - Gears :: Pinions 64DP :: 64DP 7075 Alu. 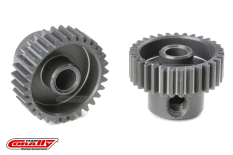 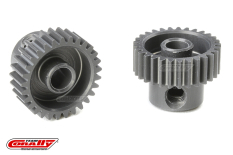 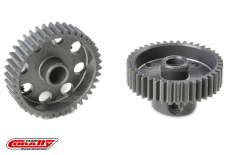 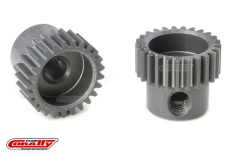 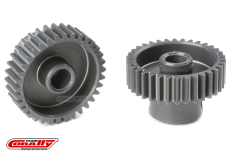 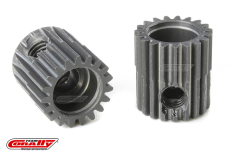 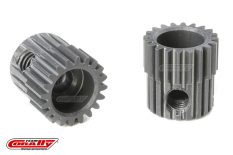 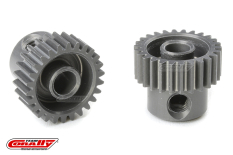 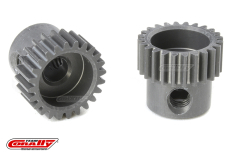 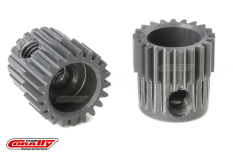 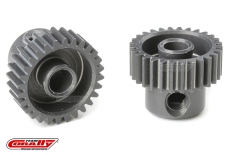 High-performance 64DP pinion gears, manufactured from special lightweight 7075 Hard Anodised aluminium with precise tolerances to guarantee unparalleled concentricity. Created on a special gear machine, all pinions feature ultra-precise tooth shaping and ultra-true running for vibration-free operation. 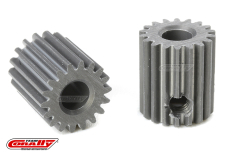 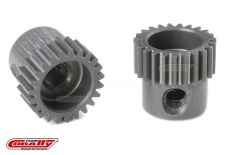 Each pinion is marked with the tooth number for easy and quick identification.